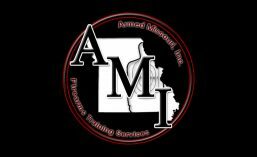 AMI Facility | Armed Missouri, Inc. The AMI headquarters is centrally located in Gasconade County, Missouri. This facility features our private range and classroom. Having exclusive use of our private facility affords us the luxury of conducting all day classes on the range including adding real-world objects, such as cars, to the training environment. Take I-44 west to hwy 50 (exit 247). Take hwy 50 west to Mt. Sterling and turn left on hwy A. Take I-70 west and exit at hwy 19 (exit 175). Take hwy 19 south to hwy 50. Take hwy 50 east to Mt. Sterling and turn right on hwy A. Follow hwy A around a curve to the right and then left around the turn at the gas station. Turn left on Mt. Sterling Rd. (the gravel road) as you go up the hill. Follow Mt. Sterling Rd. for about one mile and turn left at the Armed Missouri, Inc. sign (marker MS1036). Click HERE to download a local map. Click HERE for nearby lodging. Click HERE to see the current and forecast weather at Armed Missouri, Inc.